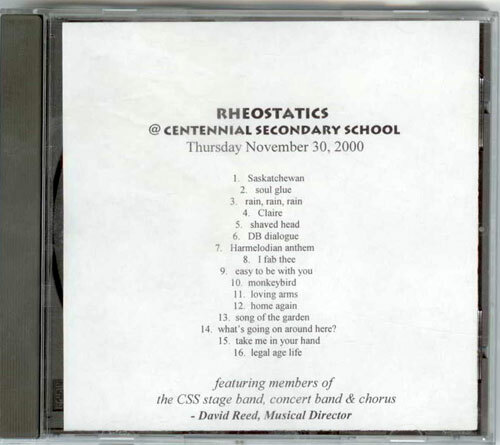 This was the show which the Rheostatics did at Centennial Secondary School on November 30 2000. It features members of the CSS stage band, concert band and chorus who had done a live theatrical version of The Story Of Harmelodia. David Reed was the Musical Director for the show and and for this performance as well.